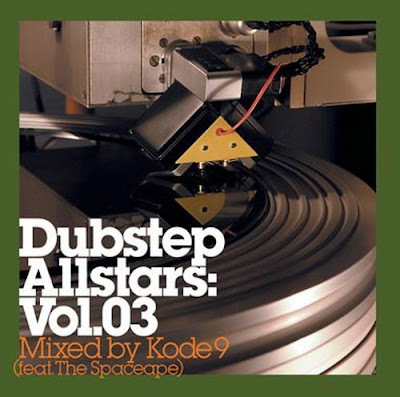 Based in South London, Kode9s hyperdub sound is difficult to define, sometimes with beats, sometimes without, sometimes with a vocalist, sometimes without, the only continuity is the heavy sub bass. Currently, Kode9's DJ sets travel through a selection of dancehall influenced bass heavy skank, currently referred to as grime and dubstep. In 2006 he mixed the Dubstep Allstars Vol.3 CD compilation on Tempa records with vocalist Spaceape and released their debut album, 'Memories of the Future'. Kode9 runs the record label Hyperdub (releasing artists such as the Burial, Joker, Zomby, Cooly G, Darkstar, The Bug, Warrior Queen and Ikonika). For 4 years, Kode9 hosted the weekly Fwd>> show on Rinse FM, London's grime and dubstep pirate radio station, and is one of the rotating DJs at DMZ, the seminal dubstep night in London. 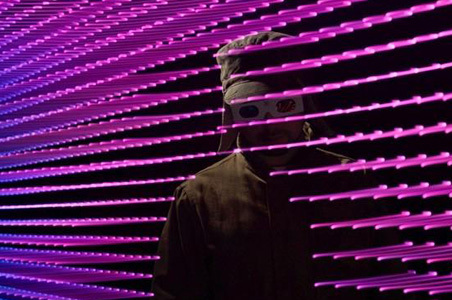 He has released tracks on Aphex Twin's Rephlex label, pioneering dubstep labels Tempa, Domino and his own Hyperdub imprint and has recently remixed artists such as Burial, Junior Boys, The Bug and local talent Geiom. His DJ sets have helped spread the South London sound internationally, to East Asia, Europe, South America, North America and Australia, including headline shows at some of the world's top festivals including Sonar, Glastonbury, Outlook & Coachella. His bass-heavy Essential Mix for Radio 1 dropped last week and is streamable via the BBC iPlayer until Saturday. For more info check out the Facebook Event. Advance tickets are available from here.